An exciting treasure hunt through Scotland's past. Can Max and Zap solve the clues and find Mary Queen of Scots' jewels? Brings museums to life for young children -- with stamping dinosaurs, mischievous animals and troublesome characters from Scottish history! Bringing history alive (literally!). 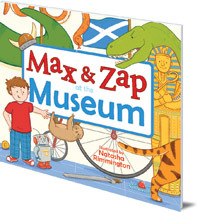 Can Max and Zap follow the clues to find Mary Queen of Scots jewels in a museum full of real-life dinosaurs, animals and characters from Scotland's past? An exciting treasure hunt inspired by real museum exhibits. 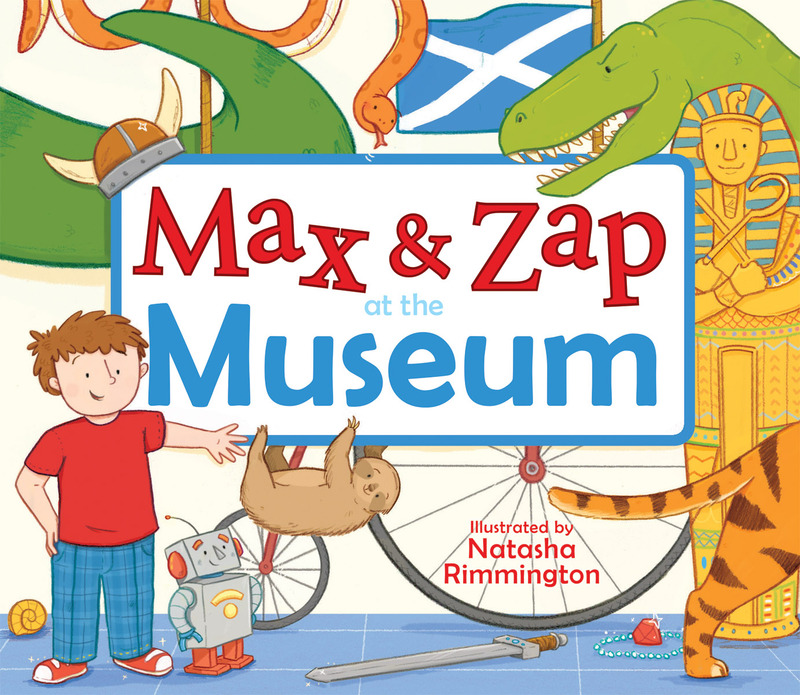 Max is visiting a museum in Scotland, with his toy robot Zap, when something amazing happens: he tries on some magic armour, the whole museum comes to life -- and so does Zap! Mary Queen of Scots needs Max and Zap's help to find her missing jewels. Can they follow the clues in a museum full of real-life dinosaurs, animals and characters from history? Watch out for the T-Rex! Inspired by actual museum exhibits this lively book whisks young readers on an exciting journey through Scotland's fascinating past. Natasha Rimmington brings history alive (literally!) with fun and vibrant illustrations. Natasha Rimmington is a children's book illustrator who graduated from the University of Lincoln. She currently lives in Stirling, Scotland.